I recently stumble upon this article from International living and thought I would like to share it with you. I have lived in Asia for the past few years so it is good to see that a few countries made the list. Imagine living a high-quality lifestyle with indulgences like a housekeeper, a private chef to prepare gourmet meals for $50 per week, and even top-quality healthcare where the cost of living is so affordable you can pay-out-of-pocket. Well, it’s possible. 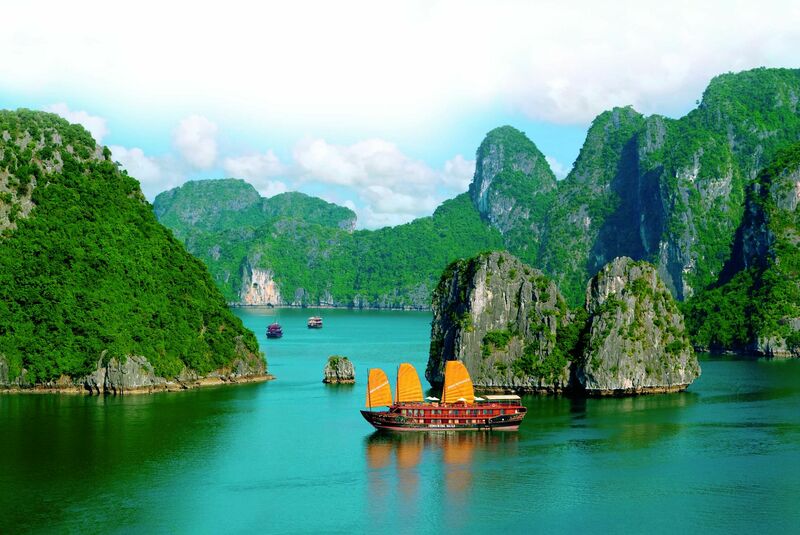 When it comes to getting more bang-for-your-buck, the best-value destinations are overseas. Bang-for-buck, the quality of life in Malaysia puts it among the best retirement havens in the world. Life here is just so easy. You’ll get by in English without much of a hitch; if you choose to drive (they drive on the left), you’ll find the roads are excellent; and you’ll have no problem finding high-speed internet or cable. Like many things about Malaysia, healthcare is world class, doctors speak English, and you can see a specialist—without needing an appointment—for as little as $20. Malaysia is the only retirement haven in Southeast Asia to have been a British colony. The only other British possession in the region, Burma, is only now opening up to foreigners. And while it’s a top place for adventurous, slow travel, it’s nowhere near as convenient, comfortable, and stable as Malaysia. International Living Malaysia Correspondent, Keith Hockton says, “A couple can live in Penang comfortably for $1,450 a month, including rent. My three-bedroom, two-bathroom, 2,195-square-foot apartment is five minutes from George Town. My wife Lisa and I pay $700 a month for that. We live in the leafy, up-market consulate suburb of Pulau Tikus; it’s just a seven-minute stroll from the ritzy Gurney Plaza shopping center. You can find cheaper, too—as little as $300 a month for a three-bedroom, two-bathroom, fully furnished place. An increasing number of retirees are finding a home in Malaysia’s capital, Kuala Lumpur. The energetic city and its environs serve not only as Malaysia’s economic engine, but also its repository of culture, arts, and international-caliber dining and shopping. Greater Kuala Lumpur is home to some 7 million people. Expat, Chad Merchant lives in Kuala Lumpur. He says, “for retirees, much of Greater Kuala Lumpur’s appeal lies in its cosmopolitan nature, top-quality medical care, and affordability. A couple can live comfortably on $1,500 a month and extravagantly on $2,500 a month, including rent. Monthly utility bills under $50 for a couple are common. Water bills are laughably cheap, typically less than $3 a month. “Kuala Lumpur is very well connected to the region (and beyond), and airfares from the city’s excellent airport are usually surprisingly affordable. I often take weekend trips to places like Phuket or Bangkok in Thailand, which are under two hours away, with tickets usually coming in below $75 round-trip. Every year, millions of Americans visit Mexico on vacation. For many, it’s the beginning of a love affair that sees them moving south of the border long term. When it comes to high-quality, low-cost living, Mexico is one of the front runners in Latin America. And this neighboring country means you’re only a short journey from home. Here, goods and services cost less than in the States…you can afford the kinds of luxuries that only the well-off have the pleasure of back home. “We live in Cancún, right on the beach, and in the humid heat of the tropical summer, our electricity bill runs to about $100 monthly. That’s for a fully air conditioned, 1,500-square-foot condo. The rest of the year, it runs about $35 to $45. In Florida where the summer heat and humidity was about the same, monthly electric bills could easily exceed $300,” says International Living Mexico Correspondent Don Murray. The cost of living in Mexico meant Jack Bramy’s way of life improved immensely when he moved to Puerto Vallarta. “l’ve a much better lifestyle here in Puerto Vallarta than I ever did in the San Francisco Bay Area. My rent alone for a comparable apartment in San Francisco would be around $4,000 a month. Here I spend under $2,000 a month for everything! Life is good here and there are lots of entertainment options. “Restaurants in Puerto Vallarta are excellent. I go out often to the more upscale spots. The average meal (say a filet mignon steak, and a couple of martinis) runs under $25. The more typical local family style restaurants are quite nice and certainly less expensive. There is NO shortages of good restaurants here. Imagine being able to afford the kinds of luxuries only the very wealthy enjoy in the States—like a housekeeper. Well, that’s exactly the direction International LivingVietnam Correspondent Wendy Justice’s life went when she moved to Vietnam. The price of goods and services are a fraction of the cost back home. New Jersey expat Pat Cox, lives with his girlfriend in Da Nang. He says he recently bought a six-month membership at a gym for both of them. He paid just $200. “Back home, a gym membership would have cost over $300 per person. Everything is cheaper here,” explains Pat. He pays $352 a month for an apartment that’s within walking distance of the beach, and says that same apartment back home in the States would cost around $1,000. Meanwhile, Michigan native Carol Mitchell, who also lives in Da Nang, says that her monthly budget is about $1,500. In the U.S., they’d have to spend $5,000 a month to live a comparable lifestyle. Located at the tip of South America, Colombia is where the Pacific and the Caribbean collide with the Andes and the Amazon. It’s a country that is more beautiful, dramatic, and diverse than nearly any other. It offers sparkling colonial cities in the highlands and world-famous resorts along the Caribbean. What’s more, Colombia boasts beautiful areas where the cost of living is the lowest you’ll find anywhere in South America. Florida-native Aaron Brabham, lives in Medellín. He rents a 1,625-square-foot, three-story penthouse apartment in the trendy, tranquil Provenza area for less than $2,000 a month. The third floor has a guest bedroom and a deck, with a private Jacuzzi, that looks out over the city. According to International Living Colombia Correspondent Nancy Kiernan, if you plan on moving to Colombia, you can “count on spending at least $1,300 a month for two people if you own your property; and $2,200 per month if you’re renting an apartment. 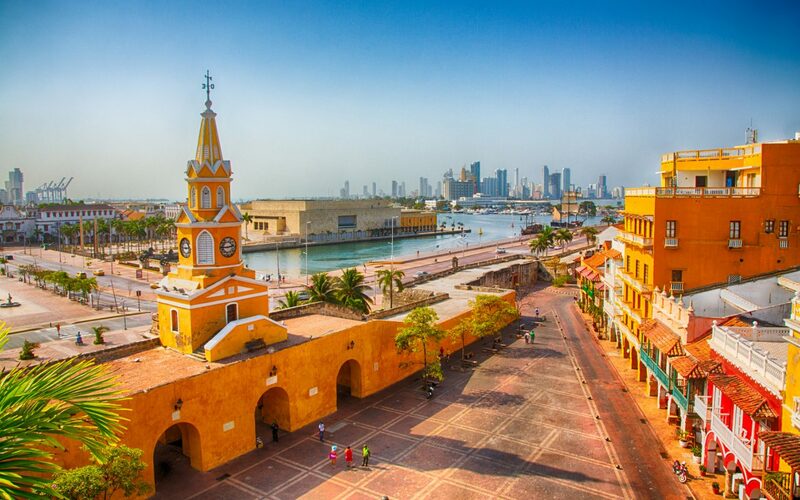 Whether you are looking for a sophisticated and modern urban scene, or a sleepy Caribbean beachside town, Colombia has so much to offer expats, with many taking advantage of the inexpensive properties and a colorful and rich culture. Ed and Cheryl Thibodeau live 5,000 feet up in the Colombian Andes, near Lago Calima, the largest man-made lake in Colombia. They have the perfect balance of work and leisure, allowing them to enjoy their retirement and fund it, too. On the foothills, next to the lake, they built, from scratch, their home and boutique resort. “We originally bought our business in Florida intending to sell it in five to 10 years to fund our retirement. After five years of owning the business, we began looking at places to retire within the States. We wanted to settle down someplace where we could indulge our love for kite-surfing. But many of the areas in the U.S. were too expensive for us. So we began to look abroad. In 2011, our good friend and kiteboard instructor introduced us to Lago Calima. “We loved the weather, the kiting, the rural wilderness setting, and the low cost of living. We sold our business back home in 2014, and by July of that year, we permanently relocated to a little two-bedroom, 500-square-foot apartment in Darién, the small town closest to our current property. The apartment cost about $120 a month. We lived there for an entire year, until our home was built next to the lake. Peru is one of the least expensive countries to live in South America. You can buy cheese for less than $3 per pound, budget $15 per month for entertainment and pay much less money for prescription medicines than the U.S.
“Rent in Peru is quite cheap compared to similar spots in the U.S. 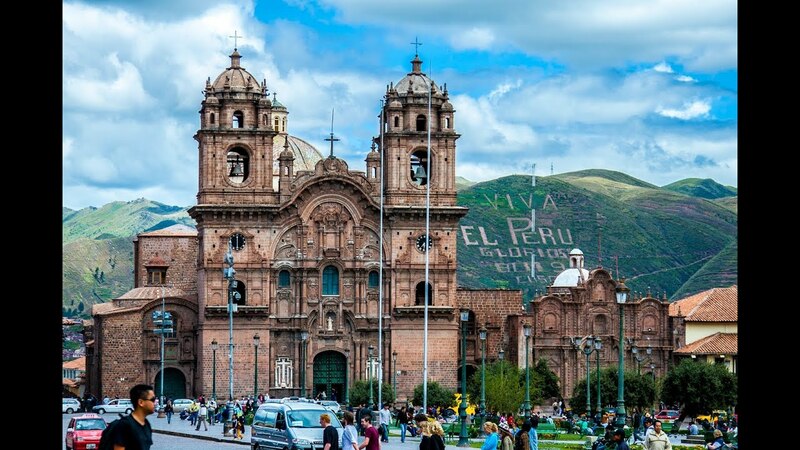 In Arequipa, a city of almost 1 million, we only paid $700 a month for our new the-bedroom, four-bathroom furnished condo in the center of the city,” explains International LivingPeru Correspondent, Steven Le Poidevin. “It was ideally located only five minutes from the Plaza de Armas and within walking distance of any day-to-day things we had to do. A similar unfurnished unit would have cost half as much. “But here in Huanchaco, we pay $600 a month for our furnished three-bedroom, two-bathroom unit. Only five minutes from the beach and the local market, it is an ideal location. Trujillo, a city of almost 1 million, is nearby. A 20-minute bus ride gets us to the nearest mall with a good mixture of local and big brand shops, a cinema, international restaurants, and an excellent private medical clinic. A thorough medical check-up, complete with EKG and blood tests, will set you back $85. A consultation with a specialist is $12. Modern supermarkets stocked with local and international items can be found in every city. There are few familiar foods that you will not be able to get here, but shopping at the colorful local markets will make a much smaller dent in your bank account. Although many services and amenities are similar in price throughout the country, real estate costs vary substantially from one city to the next. American expat Jo Self lives in Lima. “We pay about $380 a month for food for 3 adults and a child,” explains Jo. “That is our basic food budget. Entertainment is another $15 or $20 going out to the movies. Maybe $25 a week on taxis. Cell phone is $20 a month for 400 minutes, international calling, and 2GB of data. Nicaragua is the best value destination in the Americas. Here everything is cheaper. Life feels much freer and easier without the financial constraints of the U.S.
“Nicaragua saved my life. I went from a ‘No retirement ever’ scenario in the U.S. to living in an ocean-view home with no financial worries just by moving here,” says International Living Nicaragua Correspondent, Bonnie Hayman. 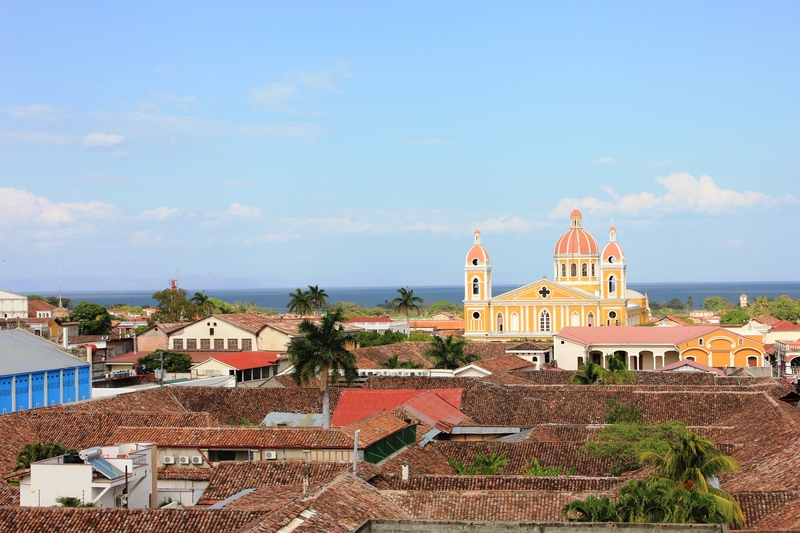 Because Nicaragua is just emerging as a tourist and retirement destination, many take advantage of the economical real estate and rental prices. As far as healthcare goes, the affordability in Nicaragua can’t be denied. Thor Kennedy, who lives in Matagalpa, visits a dentist for a cleaning twice a year and pays about $20 per visit. And that’s not the only place he has seen savings. Mary McDonough eats healthier food in San Juan del Sur and can’t believe the low prices. Moving to Cambodia is not a complete departure from the Western world. Even though the country wears its heritage on its sleeve, you can still find all the regular home comforts, such as imported food and drink, cinemas showing Hollywood blockbusters, and restaurants to whet any appetite or craving. But the cost of living in Cambodia is undeniably low. According to International Living Cambodia Correspondent Steven King, expats’ monthly budgets “range from as low as $1,000 up to $2,500, with many saying they can live comfortably for an average of $1,500. “The cost savings expats make by moving from the States to Cambodia can open up an entirely new lifestyle of luxury. A traditional Khmer massage once a week would be very expensive in the U.S., but in Cambodia you’ll be paying just $5 plus a tip. Many expats have cleaners come to their house three times a week to mop the floors, clean the kitchen, wash the dishes, and take care of the laundry for $30 to $50 a month. And $10 to $20 will get you a handmade shirt or trousers from a decent tailor, using material imported from Europe. The Cambodian city of Sihanoukville is a popular destination with expats. And those expats are living the high life here on a low budget. From speaking to expats in Sihanoukville, International Living Managing Editor Conor O’Brien reports that most live comfortably on a budget of around $1,250 to $1,500 a month, including rent for an air-conditioned, one-bedroom apartment at $250 a month. “What I really dig about my life now is that I am no longer stuck in a crowded and expensive city. I can enjoy retirement hanging out at the beach, with all the worries of overpriced healthcare far behind me,” says Texas native, Roger Carter of his new life in Sihanoukville . When Roger decided to retire overseas, he knew that he wanted to be on the coast for the fresh air and clean lifestyle. And in the coastal resort city of Sihanoukville, he found just that. Roger lives in a large, two-bedroom apartment that costs $350 a month. From here, he can enjoy both the city and the coast. He eats out as much as possible. Sihanoukville is one of Cambodia’s major fishing ports, so he regularly feasts on fresh crab, squid, and shrimp for as little as $10 a plate at local barbecue joints.